The Catechesis of the Good Shepherd is a Montessori-based approach to religious education based upon Sacred Scripture and the Liturgy. It is grounded in the belief that children are in relationship with God even from a very young age. 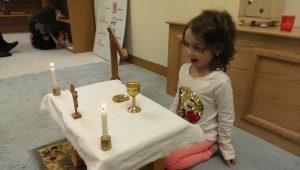 CGS seeks to help the child’s relationship with God flourish by introducing and pondering the core mysteries of the faith (the Trinitarian God, Incarnation, Paschal Mystery and Eucharist) in a way that is respectful of both the child’s level of development and the rich scriptural & liturgical heritage of our Catholic faith. Catechesis take place in an atrium, specially designed with child-sized furniture including a prayer table for gathering, a model altar, as well as materials to deepen their familiarity with Christ’s parables and the Mass. The program is open to 4 and 5 year old children and is held on Sundays from 9:30-10:45am in the lower level of the Benedict XVI Center. There is no charge to attend, but registration is required. 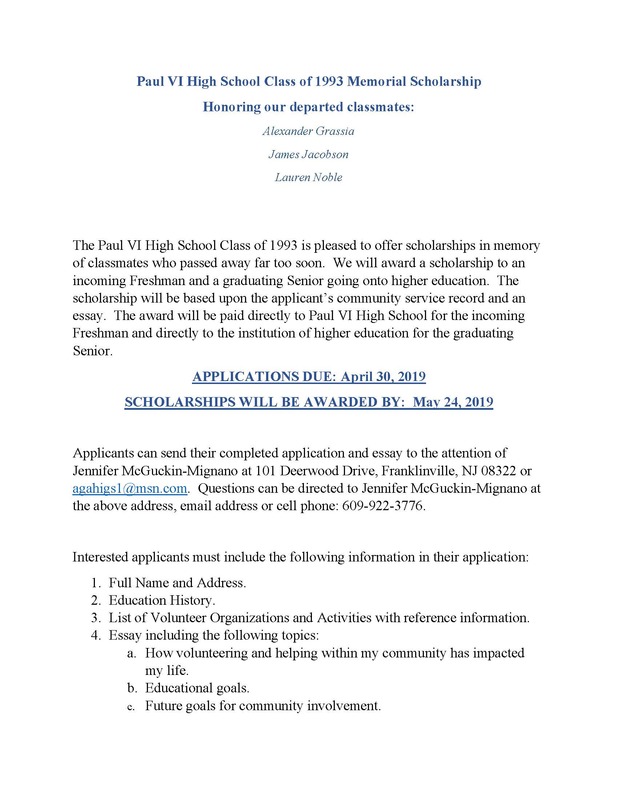 Would you like to be involved? 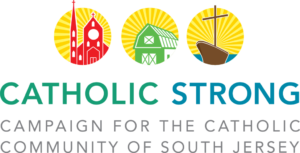 We are in need of woodworkers, seamstresses, artists, and calligraphers to prepare materials and catechists to work with the children. For more information, to register your child or to volunteer your time or talents, contact Laurie at laurie.power@christtheredeemer.us.